Join us at my house for ice cream and an image share. It’s been awhile since we have shared our images, so bring your summer travel masterpieces and anything else you’d like to share. I’ll bring the ice cream. We always have way more than we can eat, so no need to bring anything unless you are craving a certain topping for your ice cream or goodie to go with it. It will be a casual time of enjoying each other's work and receiving feedback from other photographers. We will be projecting images with my digital projector, so bring 10 or so of your images on CD/DVD or flashdrive. It's a free event. Please email me for address and directions. 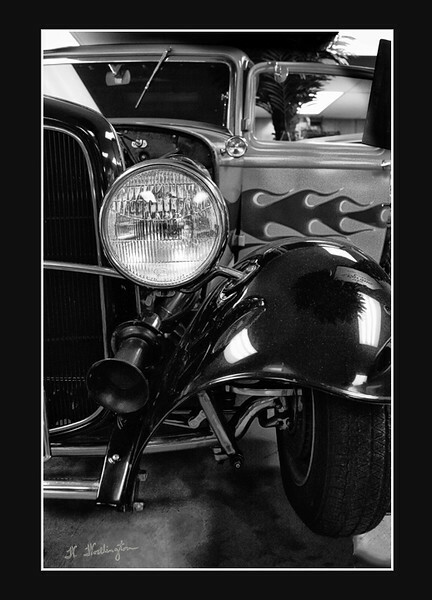 Let's photograph old cars! 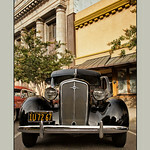 The Vintage Alley Car Show in Hayward is my favorite local car show as a photographer because of the background of the old Historic downtown Hayward buildings. Vintage Alley is an antique 1930's, 40's, and 50's inspired boutique with a salon, so period dressed and styled models will be walking around the cars and adding to a great nostalgic atmosphere. In addition to the vintage cars, there will be live music, vendors, and food. We will meet when the show opens at 10 a.m. on the street in front of the Vintage Alley Boutique, located at 1037 B Street. This is a free event. The show starts at noon. It should be a fun event -- live music, food, awards, raffle prizes, and several blocks worth of cars to photograph. We'll meet in front of Knudsen's Ice Creamery at noon. 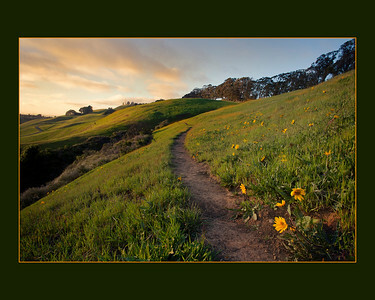 Go inside and check out our Castro Valley Photo Club display of photographs. This is a free event. See you there! Join us at my house for our monthly image share. We'll eat dessert and and view images. We have had a great representation of different photography styles, ideas, and images presented in recent months. If you attended the recent portrait workshop, please bring any images of our models that you would like to share with them. I'm looking forward to seeing what you all bring this month. It will be a fun time of viewing and enjoying each other's work, eating pudding, and receiving feedback from other photographers. We will be projecting images with my digital projector, so bring 10-15 of your images on CD/DVD or flash drive. 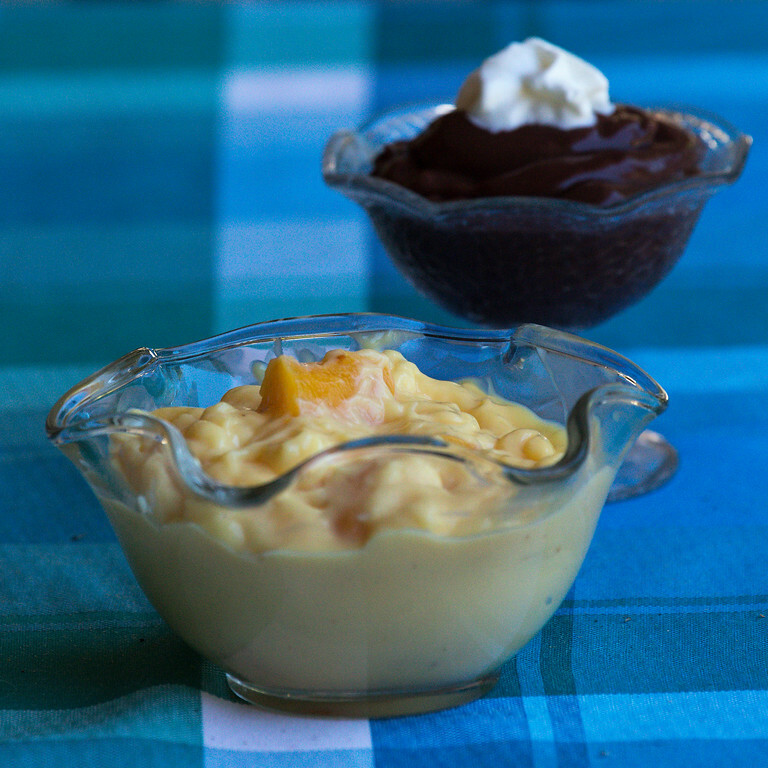 If you have a favorite kind of pudding, feel to bring it… but otherwise, just show up. We always have plenty. It's a free event. It’s $25. Light! Use it, control it, see it and understand it! Join us for an ambitious, fast-moving presentation on light and lighting people. Rick will start us in the studio with emphasis on foundations – classic principles of portraiture, facial analysis, camera perspective, lens choices, and RULES. Yes, those dreaded “old school” rules… what are they and why do they exist? And how do these concepts apply to my outdoor photography? After the studio session, we will drive to a local outdoor spot to practice our new-found skills and how they apply to location work. Bring your lens collection, especially the longest one you have. Rick is a former director of Professional Photographers of the Greater Bay Area (PPGBA), with experience photographing over 600 weddings, thousands of senior, family, child, and pet portrait sessions (and practically family with 13 years at Worthington Photography). It's $25, and you can sign up on this site by hitting the "sign up" button below. Space is limited so don’t delay. We will meet at my studio at 4:00. Please email me for address and directions. on the rotary club website, Facebook page, and have appeared in the Castro Valley Forum newspaper. We will meet in front of the announcer's stand at 9:30 am. Join us at my house for our monthly image share. We’ll eat cookies and view images. We have had a great representation of different photography styles, ideas, and images presented in recent months. I'm looking forward to seeing what you all bring this month. It will be a fun time of viewing and enjoying each other's work, eating dessert, and receiving feedback from other photographers. We will be projecting images with my digital projector, so bring 10-15 of your images on CD/DVD or flashdrive. 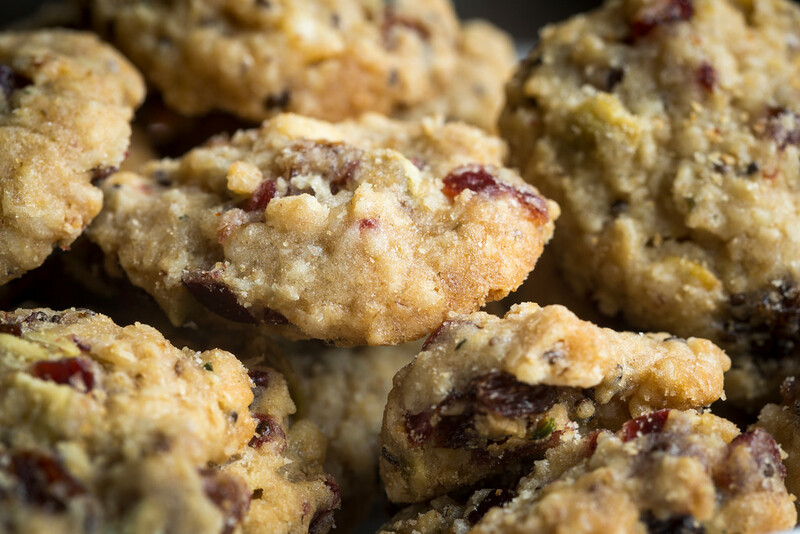 If you have a favorite cookie that you would like to share, feel free to bring it… but otherwise, just show up. We always have plenty. It's a free event. This is a free event. We have the remains of an old historic, abandoned dairy ranch in the Castro Valley hills. It's a beautiful three-hour round trip hike and the hills are green and full of wild flowers right now. So, we are going to make an afternoon of it. The trail is rated “difficult” but I know a different way (no promises). It's long and flat, but will include a climb over a gate (easy). The ranch is located on an EBMUD permit trail that I can get us onto, as I'm allowed a few guests. So, space is limited. Please let me know if you have a trail permit too. Bring food and water and as much equipment as you want to carry. We will meet at the trail head in Castro Valley at 3:30. Please email me for address and directions. This is a fun and informative workshop that's dear to my heart – creating bokeh in landscape photography. We are going to practice capturing those wonderful swirls of light in your blurred background. Bokeh is more than a shallow depth of field. It is the quality of the blur (shapes, colors, and textures) in your out of focus areas. 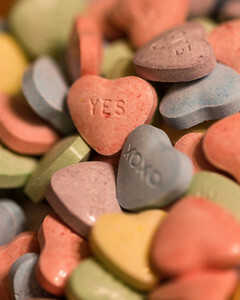 Bokeh is not random and doesn't have to be a surprise when it shows up in your photography. Learn how to identify the conditions essential for capturing bokeh in your landscapes. It's all about light and distances combined with aperture and focal length. We will start at my studio for a discussion and slide presentation, then practice at a garden about 20 minutes away. This is more distance than I usually put between presentation and shooting, but it will be worth the drive. We are starting early, as the park closes early but I have photographed here a lot, and the conditions are right (weather permitting) for finding the bokeh-producing light in areas of the garden. You will find many more treasures there to photograph too! It's $25, and you can sign up on this site by hitting the "sign up" button below. We will meet at my studio at 2:00 and carpool to the gardens. Please email me for address and directions. Join us at my house for our monthly image share. 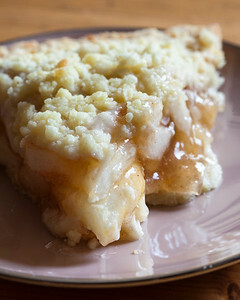 We’ll eat Dutch apple pie (and fruit for the diet conscious) and view images. We have had a great representation of different photography styles, ideas, and images presented in recent months. I'm looking forward to seeing what you all bring this month. It will be a fun time of viewing and enjoying each other's work, eating pie, and receiving feedback from other photographers. We will be projecting images with my digital projector, so bring 10-15 of your images on CD/DVD or flashdrive. If you prefer a different kind of pie, feel to bring it… but otherwise, just show up. We always have plenty. It's a free event. Cost: $150. Join us at the beautiful coast of California, where wildflowers and gorgeous seascapes await. This is a two-day workshop - landscape photography and Adobe Lightroom training - designed to help you take your imaging to the next level. Lay aside those auto settings (like aperture priority) and take control of your images through manual exposure. Sit down with us for hands-on Lightroom training to make the best of your images. Day One: March 17th from 3:30 - 8PM. Meet in Half Moon Bay for lots of photography. Day Two: March 18th from 10:00 am-1:00 pm. Meet in Castro Valley for Lightroom instruction. DSLR camera and Adobe Lightroom installed on a laptop. Laura Macky at lauramacky456@gmail.com or Wanda Kersey at wanda@worthingtonphotography.com. To sign up and submit payment, hit the buy now below. Workshop documents and information sheets will be emailed to you. It's $25. Learn the fundamentals of hyperfocal focus in landscape photography – what it is, how to use it, and dispel common focusing misconceptions in this class. Learn where you should focus and how to calculate good settings to achieve maximum depth of field -- keeping subjects that are close to the lens, as well as very far away from it, in good focus. I will show you how to use a depth of field calculator app on your cell phone. We will meet at my studio for a slide presentation. Then we'll put theory to practice at a local Castro Valley hillside until sunset. It's $25 and you can secure your spot with payment on this site. Hit the signup button below. We will meet at my studio at 4:00. Please email me for directions. Let's photograph the full moon rising from the Dublin Hills. I have a great spot that gives us a 360 degree view of the Bay Area, including the Tri-Valley, Mt. Diablo, The Bay, and Castro Valley hills. It will be a short but steep hike on a scenic trail that will lead us to a great sunset spot. Shortly after the sunset, we will see the moon rise over the lights of the Tri-Valley. Some of you die-hard photographers did this with me a year ago in the rain. Just when we were sure cloud cover was preventing us from seeing the moon, it made an appearance. The image shown here was shot then. Dress warmly and bring a tripod, long lens, and flashlight. We will meet at the Dublin Hills Regional Park but since the gates close at 5:00, you should park in the neighborhood. We will meet at the trailhead just inside the park parking lot. Join us at my home studio for our monthly image share. We have had a great representation of different photography styles, ideas, and images presented in recent months. I'm looking forward to seeing what you all bring this month. It will be a fun time of viewing and enjoying each other's work, eating Valentine goodies, and receiving feedback from other photographers. We will be projecting images with my digital projector, so bring 10-15 of your images on CD/DVD or flashdrive. It's a free event. 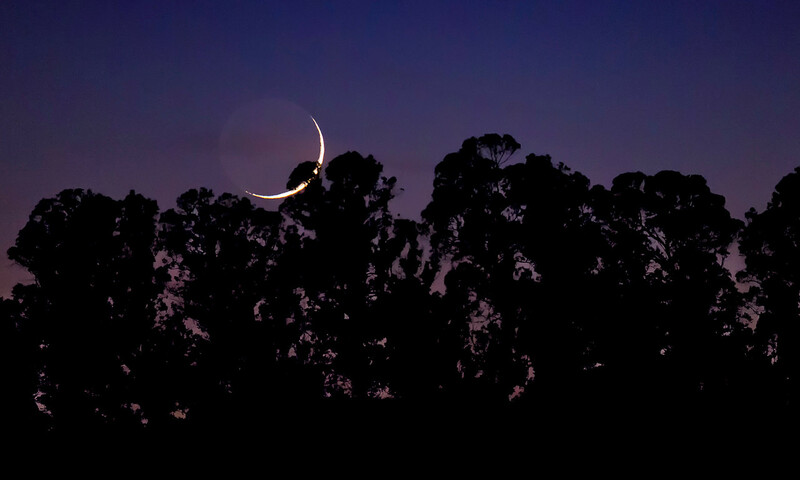 Let's photograph the crescent moon in the Castro Valley hills. The moon will appear shortly after the sun goes down, and we'll have a good spot to photograph the sunset, as well. The crescent moon is one of my favorite lunar phases and I will show you where to find it and how to photograph it. It is sometimes a toss up between sunset and moonset… if we have great clouds for the sunset, we may not see the crescent if those great clouds block our view (as both set in the same direction). It should be a good shoot either way. There will be a short hike (maybe 1/4-1/2 mile) on a dirt trail. Please bring solid shoes, tripods, jackets, and flashlights. Space is limited to 12 photographers. We will meet at 4:30 in the parking lot at the Nike Classroom located at 17930 Lake Chabot Road. Do you want to know what Photoshop can do for you? Even if you have never edited an image, you have most likely heard of Photoshop, which is considered a leader in photo editing software and used widely by professional photographers. Join us for an overview of how Photoshop works and become familiar with its tools and capabilities. Laura Macky gave us a great Adobe Lightroom overview in November and has much to show us about how you can improve your photography with Photoshop. Her presentation will emphasize using layers and explain what Photoshop can do that Lightroom can't. 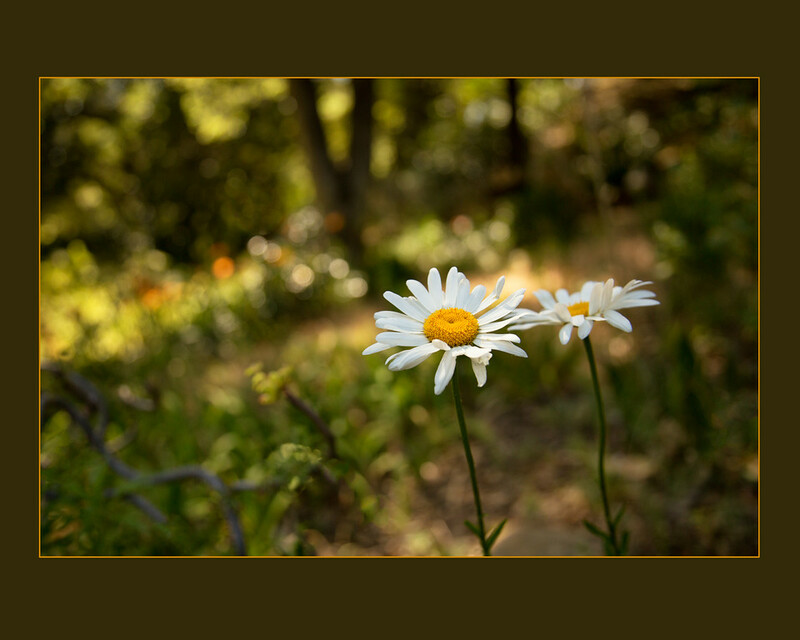 Many of you are familiar with Laura's work, blog, and photo club Crow Canyon Clickers. You won't want to miss this informative talk. The event is $25, and you can sign up on this site by hitting the "signup button" below. 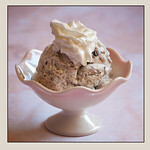 I'm breaking out a great recipe for this image share, and you may even see some green ice cream. No, we are not photographing pistachios, we are eating them. But best of all we are sharing images. Bring your favorites from 2016. It will be a great show! Join us at my home studio at 7:00. It will be a fun time of viewing and enjoying each other's work, and receiving feedback from other photographers. We will be projecting images with my digital projector, so bring 10-15 of your images on CD/DVD or flashdrive. It's a free event. Please email me for studio address and directions. This is a free event. The grounds of the Mormon Temple in Oakland are pretty spectacular and especially at Christmas time. Thousands of lights decorate the entire landscape of plants, paths and bridges, fountains, and holiday scenes. If you have never been there, the view of the Bay from the parking lot alone is worth the drive. Let's meet there (4770 Lincoln Ave in Oakland) in the parking lot at 4:15 and photograph the sunset. The lights will turn on shortly afterward. We will want to photograph the temple lights as it gets dark, but while there is still blue in the sky (and before the general public shows up). Bring a tripod and dress warmly. It's $25. This is always a favorite holiday class. We will use indoor Christmas lights to create a background of light circles and textures on holiday subjects. Learn how to make bokeh balls of light bigger or smaller by increasing/decreasing the distance of your subject to the lights and your camera to your subject. Please bring your favorite small Christmas decoration, ornament, food, etc. to personalize your images. You will also need a tripod. I like using a telephoto lens (200-300mm), but medium telephoto (85-150mm) lenses will work as well. We will practice creating bokeh with colored and white lights in my studio, use cutouts to create shaped lights, and also use the Christmas tree in my family room. Come create your Christmas card photos. It's $25 and you can secure your spot with payment on this site. Hit the signup button below. We will meet at my studio at 7:00. Please email me for directions. Join us at my home studio for our monthly image share. We have had a great representation of different photography styles and images presented in recent months. I'm looking forward to seeing what you all bring this month. It will be a fun time of viewing and enjoying each other's work, eating candy canes, and receiving feedback from other photographers. We will be projecting images with my digital projector, so bring 10-15 of your images on CD/DVD or flashdrive. It's a free event. Please email me for studio address and directions. Confused by Lightroom? Considering editing software and don't know where to turn? This is the presentation you've been waiting for! Join us for an overview of how Lightroom works, and become familiar with its workspace from organization to editing. 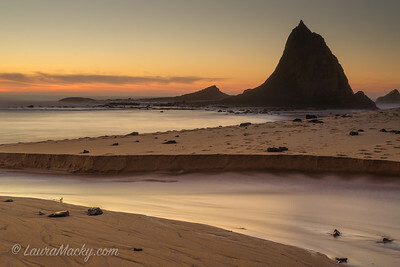 Laura Macky will show us how Lightroom can improve your photos and will demonstrate her magic with editing a landscape image from start to finish. Many of you are familiar with Laura's work, blog, and photo club Crow Canyon Clickers. You won't want to miss this informative talk on Lightroom, which has become one of the most widely used image processing software programs by photographers worldwide. The event is $25, and you can sign up on this site by hitting the "signup button" below. 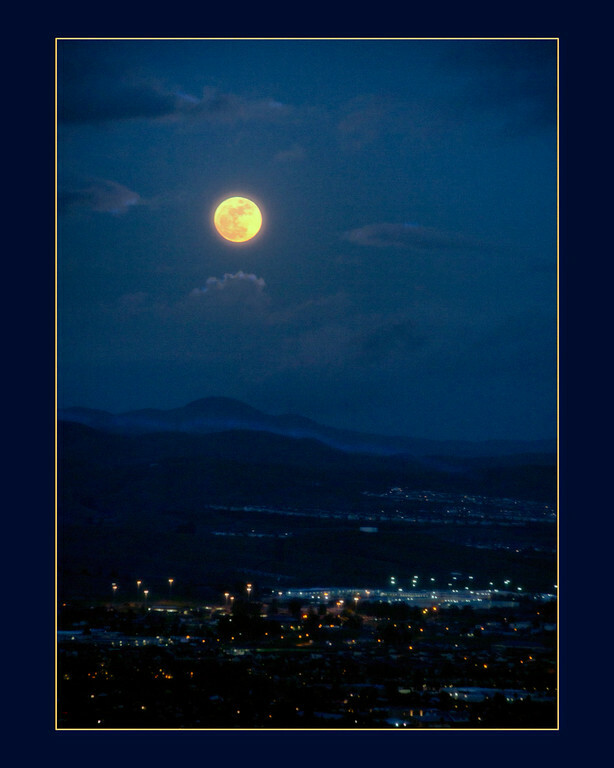 Join us to photograph the moon rising over the Pleasanton Hills. We'll have a short uphill hike on a dirt trail to spots where we'll see the moon rising above the wonderful oak tree-covered hills. Pack a jacket, tripod, flashlight, and a long lens for sure (although I would bring it all). It's $25, unless you qualify for a free Shoot the Moon workshop or hold “student” status with Castro Valley Photo Club. See www.cvphotoclub.com for details or contact me to use your credit. We will meet at 4:00 in the parking lot of Pleasanton Ridge Regional Park, located at 9895 Foothill Road in Sunol, and hike to our destination. Please let me know if you are coming (the moon waits for no one). You can sign up on this site by hitting the “sign up” button below. Join us at my home studio for popcorn and our monthly image share. It will be a fun time of viewing and enjoying each other's work and receiving feedback from other photographers. We will be projecting images with my digital projector, so bring 10-15 or so of your images on CD/DVD or flashdrive. It's a free event. Let's work on photographing people using flattering lighting and posing. Portrait photography has been my mainstay for more years than I like to reveal. I'll show you an old school style (that's never out dated), that concentrates on the basics of traditional portrait lighting patterns. In my business, I shoot for large wall portraits and prints. I use natural light, manual exposure, my hand-held light meter, tripod, and reflector. In this workshop, I hope to give you tips that you can take back to your own style of portraiture. We'll review the lighting patterns we went over at our first portrait workshop in August, and explore using light for flattering posing with individuals, couples, and groups. Learn how to give direction to make your subjects feel at ease. We'll start with a talk and then split up to photograph models. It's a great location in Oakland near Lake Merritt. The venue requires me to limit the number of photographers attending this event. The workshop is $25 and you can sign up on this site by hitting the "sign up" button below and I will contact you with directions to the location. I'm sorry to be vague, but because of space, we must have only registered photographers showing up for this event. Let's photograph the activities of this lively arts festival on Telegraph Avenue. Oakland First Fridays attracts thousands of people from across the Bay Area with its art galleries, street artists, performers, musicians, dancers, DJs, culinary artisans, poets, inspiration, and great food on the first Friday of every month. Special thanks to Jay Das for the collage of past OFFs and helping to organize this event. Jay says, "As a photographer you can find so many stories and subjects. I can take as many photos as I want without any objection or obstacles. You can find happiness in the air! You can smell the taste of freedom." We will meet on the street at 2268 Telegraph Avenue in Oakland at 5:00. For those coming from the Castro Valley area, we will meet at the Castro Valley BART station at 4:30. Please email me to let me know if you are coming – taking BART with me or meeting there. Join us at my home studio for our monthly image share. Special thanks to Kress, who came to last month’s image share (Ice Cream & Images), for the idea of this month’s theme. We will be eating Twix – not photographing it. We always have way more dessert than we can eat, so no need to bring anything. I’ll supply the Twix and something Vegan (for us snobs). It will be a casual time of enjoying each other's work and receiving feedback from other photographers. We will be projecting images with my digital projector, so bring 10-15 or so of your images on CD/DVD or flashdrive. It’s a free event. Please join us for an exciting morning of birding with local photographer Kenneth Wong. We'll meet at the Hayward shoreline and Ken will talk about some of the techniques and equipment used for making successful bird pictures. Then we will walk out to the shoreline to capture images. Bring your long lenses and your walking shoes. It’s about a mile hike to the water on a flat paved trail. Our meeting spot will be the Hayward Shoreline Interpretive Center located at 4901 Breakwater Avenue in Hayward. This is a free event. 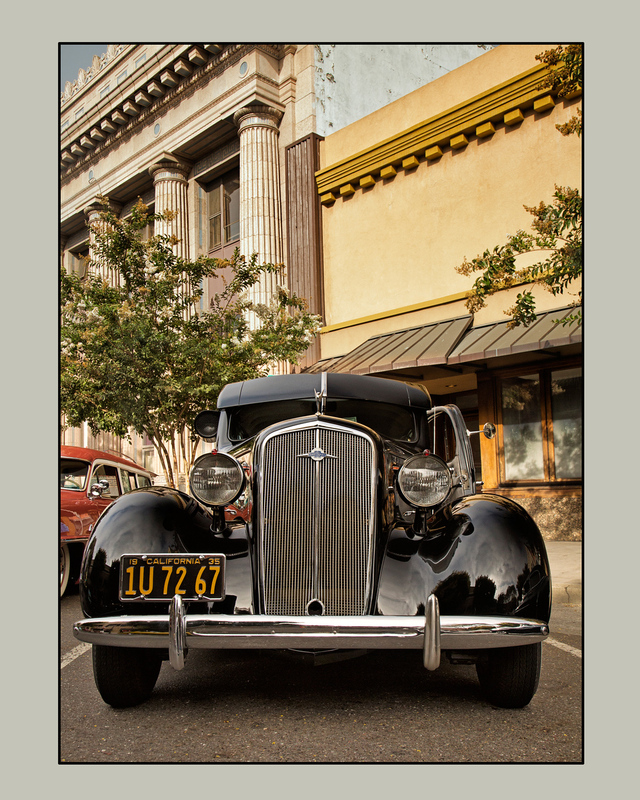 The Vintage Alley Car Show in Hayward is my favorite car show as a photographer because of the background of the old Historic downtown Hayward buildings. Vintage Alley is an antique 1930’s, 40’s, and 50’s inspired boutique with a salon, so period dressed and styled models are walking around the cars and adding to a great nostalgic atmosphere. In addition to the vintage cars, there will be live music, vendors, and food. We will meet when the show opens at 10 a.m. on the street near the Vintage Alley Boutique, located at 1037 B Street. This is a free event. Join us at my home studio for ice cream and an image share. It’s been awhile since we have shared our images, so bring your summer travel masterpieces as well as any images from our past events. For those of you that follow our dessert-themed gatherings… I’ll bring the ice cream. We always have way more than we can eat, so no need to bring anything unless you are craving a certain topping for your ice cream. There will also be fat free frozen yogurt for the calorie conscious (like me). It will be a casual time of enjoying each other's work and receiving feedback from other photographers. We will be projecting images with my digital projector, so bring 10-15 or so of your images on CD/DVD or flashdrive. It’s a free event. This is a free event. Let’s meet at Sunol Regional Park to shoot the moon rising before sunset. The hills in this region are full of wonderful old oak trees and there are several spots to photograph the moon rising behind one. Pack a jacket, tripod, and a long lens for sure (although I would bring it all). There may be a little bit of walking, but on a flat, paved trail. The park is located at 1895 Geary Road, and quite a ways off the beaten track. As you enter the park, pass the kiosk and the visitor center. There will be a right hand turn into a parking lot by the horse stables of Western Trail Riding Services (perhaps you can GPS it). Park there by the horse stables. We will begin shooting there. FYI, there is no cell phone service out there, so please contact me early if you need to reach me. Let’s photograph people. 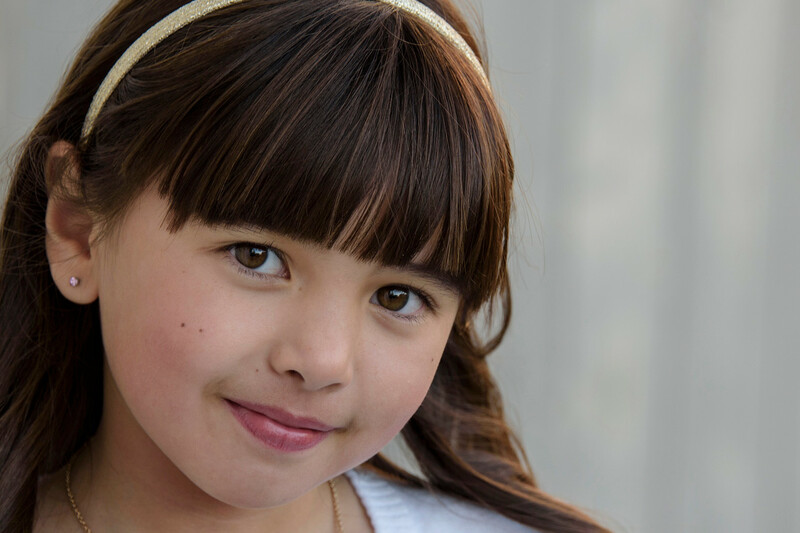 I have been a portrait photographer for a LONG time in Castro Valley. My family business, Worthington Photography, is 40 years old this month (I’m second generation, and really not that old). But I’m an old school portrait photographer (in style), who still shoots for large wall portraits and prints. I love the traditional portrait lighting patterns, my hand-held light meter, tripod, and reflector. We’ll talk about equipment and exposure, and I’ll show you how to find flattering light for photographing people. We’ll start with a talk and demonstration, and then I’ll turn you loose to photograph a model. We will meet at the portrait location. The workshop is $25 and you can sign up on this site by hitting the “sign up” button below and I will contact you with directions to the location. It’s back by popular demand… Kimberly Alameda will return to teach us how to take better cell phone images. She will show us her totally cool techniques from landscapes to selfies and demonstrate her favorite image processing app. Are you getting the most out of your camera phone? Want to up your selfie game? Do you want to learn how to take iPhone images that aren’t dark or blurry? And take pictures that you can print and actually frame? Then this is a fun beginning iPhone photography class for you! We will learn panoramic photography and practice with apps including Snapseed, Tangled, and an intro to Leonardo – new stuff for those of you who have taken her class before. The workshop will take place at the scenic Hayward Japanese Tea Gardens, where we will find lots of great subjects to practice with. The workshop is $25, and you can pay on this site by hitting the sign-up button below. We will meet at the Hayward Japanese Tea Gardens at 10am. Please email me for directions. Let’s practice long exposure night photography at the Alameda County Fair, where there are endless photo opportunities, especially after the sun goes down. It’s great fun to push the boundaries of time when the carnival rides and attractions become a land of color and lights just after sunset. Grab your tripod and meet me at the giant ferris wheel at 8pm. It’s a free photo club event, but it costs to get into the fair. Admission before 5:00 on Tuesdays is only $2, and after 5:00 it’s $12. You can buy your tickets online and save time at the ticket booth. It is also $10 for parking. You may want to arrive before 5:00 and make an afternoon of it. Be sure to see the photography exhibit, where Castro Valley Photo Club photographers have won ribbons. Meet me just before sunset when we may have pretty color in the sky. The fair is open until 11:00. This is a fun and informative workshop that’s dear to my heart – creating bokeh in landscape photography. We are going to practice capturing those wonderful swirls of light in your blurred background. Bokeh is more than a shallow depth of field. It is the quality of the blur (shapes, colors, and textures) in your out of focus areas. Bokeh is not random and doesn’t have to be a surprise when it shows up in your photography. Learn how to identify the conditions essential for capturing bokeh in your landscapes. It’s all about light and distances combined with aperture and focal length. We will start at my studio for a discussion and slide presentation, then practice at a garden about 20 minutes away. This is more distance than I usually put between presentation and shooting, but it will be worth the drive. We are starting early, as the park closes early but I have photographed here a lot, and the conditions are right (weather permitting) for finding the bokeh-producing light in areas of the garden. You will find many more treasures there to photograph too! It’s $25, and you can sign up on this site by hitting the “sign up” button below. We will meet at my studio at 2:00 and carpool to the gardens. Please email me for studio address and directions. This is a free event. Let’s get together and photograph Garin Park in Hayward. There is so much to photograph at Garin – vintage farm equipment, a barn, a creek, a pond, plants, cattle (sometimes), hills, trails, and a view of the Bay. Bring your hiking boots, tripod, and a flashlight (in case we stay in the hills until dark). We’ll meet in the parking lot at the flag pole at 6:30. Let’s photograph bridges in my hometown. Castro Valley has creeks and many of the residents and parks have wonderful old bridges. I can take you to photograph a few of them. Some are popular and some are tucked away, but they all are rustic and photogenic. We will meet at my studio and carpool to the bridges. It’s $25, and you can pay on this site by hitting the signup button below. We will meet at my studio at 5:00 and carpool to the bridges. Please email me for studio address and directions. We have the remains of an old historic, abandoned dairy ranch in the Castro Valley hills. It’s a beautiful three-hour round trip hike and the hills are green and full of wild flowers right now. So, we are going to make an afternoon of it. The trail is rated “difficult” but I know a different way (no promises). It’s long and flat, but will include a climb over a gate (easy). The ranch is located on an EBMUD permit trail that I can get us onto… there are enough of us with trail permits to cover those that don’t have them (we are allowed guests). Bring food and water and as much equipment as you want to carry. We will meet at my studio for a short presentation and then carpool to the trailhead, just five minutes away. It’s $25, and you can pay online using the signup link below. Please email me for address and directions to my home studio. Let’s photograph the crescent moon that will appear shortly after the sun goes down (if no clouds block our view). The crescent moon is one of my favorite lunar phases and I will show you where to find it before it sets and how to photograph it. Learn how easy it is to photograph the moon in manual exposure, as trying to photograph it in auto or semi auto mode (aperture priority, etc.) may confuse your camera. It is sometimes a toss up between sunset and moonset… if we have great clouds for the sunset, we may not see the crescent (as both set in the same direction), but it should be a good shoot either way. We will meet at my studio for a slide presentation and talk, then carpool to the trail head. There will be a short hike (maybe 1/4-1/2 mile) on a dirt trail. Please bring solid shoes, tripods, jackets, and flashlights. It’s $25, and you can pay online using the signup link below. Please email me for address and directions to my home studio. We are not going to photograph it -- we are going to EAT it! Join us at my home studio for desserts and our monthly image share. Those of you that follow our dessert-themed gatherings (Pie & Pictures, Ice Cream & Images, Oreo & Show), know that I’m most proud of the title of this one. And I’ll bring the Tiramisu. We always have more dessert than we can eat. Please bring either images from our past outings or any other image favorites (or not so favorite) that you would like to show and receive feedback. It will be a casual time of enjoying each other's work and receiving feedback from other photographers. We will project images with my digital projector, so bring ten or so of your images on CD/DVD or flashdrive. It’s a free event. Let’s photograph the moon rising at sunset in the Castro Valley Hills. We will take a short hike on a dirt trail that will lead us to a view of the moon rising in the east, and a view of the sun setting in the west. Dress warmly and bring a tripod, long lens, and flashlight. We will meet at my studio at 6:15 for a short presentation and carpool to the trailhead, just ten minutes away. The workshop is $25, unless you are registered as a monthly student (see details in the Activities section on this page). You can qualify for a free Shoot the Moon workshop if you pre-pay four events in advance. Payment can be made online by hitting the signup button below. We will meet at my studio at 6:15. Please email me for address and directions. Photographers you will want to know this spot! It's a short hike to get to, and there are great views in all directions. This is one of my favorite hiking trails and I have a pass to give us access to it. We will meet at my studio and carpool to the trail head. It's $25 and you can sign up and pay on this site. Just hit the signup button below. We will meet at my studio at 5:30. Please email me for directions. Join us at my home studio for desserts and our monthly image share. For those of you that follow our dessert-themed gatherings… I’ll bring the pastry. We always have way more than we can eat. We will show our images from past outings and any other images you would like to bring. It will be a casual time of enjoying each other's work and receiving feedback from other photographers. We will be projecting images with my digital projector, so bring ten or so of your images on CD/DVD or flashdrive. It’s a free event. It has been awhile since we have had a good hike, although this is a short one. Let me show you my stomping grounds in the neighborhood of my childhood home in Castro Valley. The hills are green and full of wildflowers. We’ll meet at my studio, a short distance from a couple of trail options and a view of Fairmont Ridge at sunset. It’s $25, and you can pay on this site by hitting the “sign up” button below. We will meet at my studio at 4 PM. Please email me for directions. Join us to photograph the moon rising above the Meek Mansion at sunset. It is actually two days before the full moon, but timed so that the moon will clear the mansion at sunset, which is the perfect time to photograph it. We’ll have enough light out to capture detail on the mansion, detail in the moon, and hopefully, a pretty sunset sky. The workshop is $25, unless you are registered as a monthly student (see details in the Activities section on this page). You can pay online by hitting the signup button below. We will meet at Meek Estate at 5:15. Please email me for directions. I know many of you photographers are also painters, illustrators, or owners of old photographs. In this workshop, we will learn how to make digital reproductions of art work, typically used for documentation, giclee prints, cards, brochures and websites. Learn why capture with a digital camera is better than a scan, how to cut glare, expose for best color, and how you can do it without a studio. My family business, Worthington Photography, has been reproducing art, and copying/restoring old photos for decades. This class will be hands-on so bring camera and tripod, as well as original art, painting or old photograph, to reproduce. It’s $25, and you can pay on this site by hitting the sign-up button below. We will meet at my studio at 10am. Please email me for directions. Die Hards, this is for you… endure the cold weather at 6am on a Saturday morning. Lake Chabot is beautiful at sunrise and we may see the crescent moon… if it’s not hiding behind some pretty sunrise clouds. 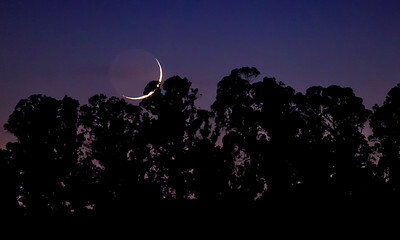 I have experienced some fantastic sunrises at Lake Chabot while intending to photograph the crescent moon. So, no promises… come at your own risk… but it could be great. I will be there rain or shine. We will meet in front of the snack bar at the Lake Chabot Marina at 6am. Dress warmly and bring a flashlight. This is a free event. You won’t want to miss this special event for anyone who carries a camera in their pocket. Cell phone photography is cool, convenient, and just plain fun! Don’t let your kids be better photographers than you! Learn how to be creative with your cell phone and get great results. Kimberly will teach us how to take better cell phone images from landscapes to selfies and demonstrate her favorite image processing app. The workshop will take place at the scenic Meek Estate Mansion in Hayward, where we will find historic buildings, farm equipment, plants, paths, a gazebo, fountain, and other great subjects to photograph. The workshop is $25, and you can pay on this site by hitting the sign-up button below. We will meet at Meek Mansion at 11am (rain or shine). Please email me for directions. Let’s photograph the full moon rising from the Dublin Hills. I have a great spot that gives us a 360 degree view of the Bay Area, including the Tri-Valley, Mt. Diablo, The Bay, and Castro Valley hills. It will be a short but steep hike on a scenic trail that will lead us to a great sunset spot. Shortly after the sunset, we will see the moon rise over the lights of the Tri-Valley. Dress warmly and bring a tripod, long lens, and flashlight. We will meet at my studio at 4:00 for a slide presentation on photographing a full moon, and then we will carpool to the trailhead. Let’s photograph the rolling hills that overlook the Bay in the Fairview area of the Hayward Hills. I have some great spots there and the hills are turning green again! We’ll start at golden hour and catch the side light on the hills, then continue to a favorite sunset spot. We’ll include twilight overlooking the lights of the Bay. Let’s meet at 3:30 at J.A. Lewis Park on Hayward Blvd. for a short talk and carpool to the locations. It’s $25, and you can pay on this site by hitting the “sign up” button below. We will meet at the park at 3:30, please email me for directions. This is a free event. The grounds of the Mormon Temple in Oakland are pretty spectacular and especially at Christmas time. Thousands of lights decorate the entire landscape of plants, paths and bridges, fountains, and holiday scenes. If you have never been there, the view of the Bay from the parking lot alone is worth the drive. Let’s meet there in the parking lot at 4:15 and photograph the sunset. The lights will turn on shortly afterward. We will practice photographing bright festive colors in low light… which can sometimes be tricky, but lots of fun. You will want to bring a tripod and dress warmly. Join us at my home studio for desserts and our monthly image share. I’ll bring a fruitcake (you guys don’t eat my desserts anyway). We will show our images from past outings and any other images you would like to bring. I’d love to see some holiday-themed images. It will be a casual time of enjoying each other's work and receiving feedback from other photographers. We will be projecting images with my digital projector, so bring ten or so of your images on CD/DVD or flashdrive. If you don’t have a Christmas party to go to this night, this is for you! It’s a free event. It’s beginning to look like Christmas and I’m a huge fan of using those colorful little lights indoors to create a bokeh effect of light circles on the background of my holiday images. Learn how to throw the background out of focus and make those balls of light bigger or smaller by increasing/decreasing the distance of your subject to the lights in the background. Please bring your favorite small Christmas decoration, ornament, food, etc. to personalize your images. You will also need a tripod. I like using a telephoto lens (200-300mm), but medium telephoto (85-150mm), and macro lenses will work as well. You want a shallow depth of field (fast lens). We will practice creating bokeh with colored and white lights in my studio, use cutouts to create shaped lights, and also use the Christmas tree in my family room. It’s $25 and you can secure your spot with payment on this site. Hit the signup button below. We will meet at my studio at 5:00. Please email me for directions. Join us for our monthly Shoot the Moon workshop, as we photograph the full moon rising at sunset. This month we plan to capture the moon rising from Fairmont Ridge, where I have several good vantage points. Fairmont Ridge never disappoints! There is also a wonderful view in the direction of the sunset. The full moon rises at sunset, allowing us enough light to capture detail in the foreground, detail in the moon, and the possibility of a pretty sunset sky. The workshop is $25, unless you are registered as a monthly student (see details in the Activities section on this page). You can pay online by hitting the signup button below. Please get on my email list, because conditions can vary rapidly. I keep in touch with photographers by email in case of any last minute changes. We will meet at the trailhead at 4:00pm. Please email me for directions. This class is an annual highlight for my students. Spaces are limited, so sign up early. Learn how to create the look of expensive studio lighting with an $8 flashlight. You can do this at home. We will start indoors and light paint small objects. Please bring ornaments, small antiques, objects with texture, old fashioned toys, cameras, pottery, or perhaps your favorite Christmas decoration. We can share, I’ll have plenty. Then we’ll move outdoors, build a bonfire, create a camping scene and practice light painting and silhouetting our subjects. I’m always looking for great prop ideas… I’m thinking hotdog on a stick or a saxophone. Please also bring a tripod, flashlight, and colored lights if you have them. It’s $25 and you can secure your spot with payment on this site. Hit the signup button below. We will meet at 5:00. Please email me for this Castro Valley location. Let’s do some nighttime photography in my home town. We’ll visit some festive and colorfully lit spots and practice long exposures on tripods with stationary and moving subjects. Then we will move to a different set of circumstances at the annual Meet on the Street Lights Parade and learn how to shoot quickly in the dark. We will start at my studio for a presentation and talk, then carpool to the lights. It’s $25 and you can pay on this site by hitting the signup button below. We will meet at my studio at 4:15 and carpool to the locations. Please email me for studio address and directions. Oreos... we are not going to photograph them. We are going to eat them. Join us at my home studio for cookies and milk as we share our images from past outings and any other images you would like to bring. It will be a casual time of enjoying each other's work and receiving feedback from other photographers. We will be projecting images with my digital projector, so bring your images on CD/DVD or flashdrive. Come join us for an afternoon of soccer action with the Castro Valley Soccer Club. We will start the day by reviewing techniques for capturing great action images, after which we’ll carpool to the soccer fields where the club is hosting an event. This is a free event and photographers of all skill levels are invited to join us. Please note: tripods are not recommended, as they can be a hazard to the players and referees. We will meet at the studio at 1:00 and carpool to the soccer field. Please email me for studio address and directions. Let’s photograph the vibrant, creative and diverse variety of murals around Hayward. These murals, by talented artists, depict local history, events and culture. I will take you on a tour of my favorites – some large, some small, some highly visible and others tucked away on side streets and alleys. Join us at my studio first for a short presentation and then we will carpool to the murals. It's $25, and you can pay on this site by hitting the signup button below. We will meet at my studio at 4:00 and carpool to the locations. Please email me for studio address and directions. I have a great spot picked out to photograph the sunset and the very delicate crescent moon that will appear shortly after the sun goes down (if no clouds block our view). The crescent moon is one of my favorite lunar phases and I will show you where to find it just before it sets and how to photograph it. Learn how easy it is to photograph the moon in manual exposure, as trying to photograph it in auto or semi auto mode (aperture priority, etc.) can confuse your camera. It is sometimes a toss up between sunset and moon… if we have great clouds for the sunset, we may not see the sliver 1.1% crescent, but it should be a good shoot either way. We will meet at my studio for a slide presentation and talk, then carpool to the trail head. There will be a short hike (maybe 1/4-1/2 mile) on a dirt trail. Please bring solid shoes, tripods, jackets, and flashlights. It’s $25, and you can pay on this site by hitting the sign up button below. We will meet at my studio at 5:15 and carpool to the location. Please email me for directions. Come photograph these very fun, sweet, gentle little horses. If you missed our barn event last month (see Sept. 26), I still have a few more scenic old barns to show you that we didn’t fit in on that day. Castro Valley is full of these rustic treasures. We will meet at my studio, carpool to the barns first and conclude with the adorable miniature horses. It’s $25, and you can pay on this site by hitting the signup button below. Join us at my home studio for an evening of image sharing and desserts (I'm making cupcakes). Bring your favorite images from our past outings and any other images that you would like to share. It will be a casual time of enjoying each other's work, and discussing and receiving feedback from other photographers. We will be projecting images with my digital projector, so bring your images on CD/DVD or flashdrive. 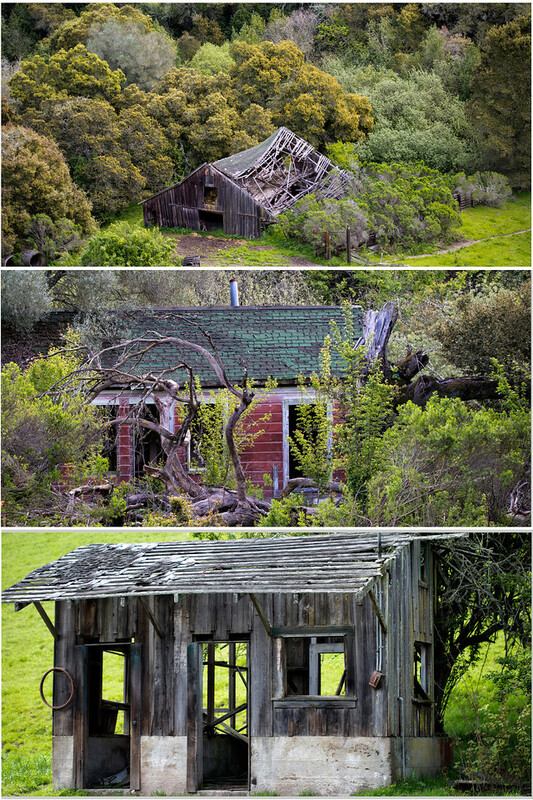 I will take you on a tour to my favorite old barns in Castro Valley -- some popular and some tucked away. Some are historic, but all are rustic and photogenic. We will start early and shoot as many as we can until sunset, when I hope to capture a barn with a pretty sky or possible full moon rising. We will meet at my studio and carpool to the barns. It's $25 and you can pay on this site by hitting the signup button below. We will meet at my studio at 3:30 and carpool to the barns. Please email me for studio address and directions. The local dahlia garden will be exploding with different varieties of colorful blooms. Let’s practice “macro” images of flowers and bugs. Learn why macro photography doesn’t have to mean “macro” lens. We will talk about lenses and learn tips on photographing flowers with telephoto vs. macro lenses. We will meet at my studio in Castro Valley for a short presentation and then carpool to the garden. It’s $25, and you can pay on this site by hitting the “sign up” button below. We will meet at my studio at 10:30 and carpool to the location. Please email me for directions. We will meet at the trail head at 6:00. Please email me for directions. Special thanks to my awesome portrait clients, who are allowing us to photograph their property and farm animals in Livermore. I drool over their country home every time I go there – rolling hills, barns, vineyards, and farm animals, including lots of funny-looking llamas. It’s $25 and you can sign up here (hit the signup button). We will meet at my studio at 5:15 to carpool, but please email me if you need to meet us in Livermore. This is a free event. From our vantage point at Lake Chabot, the (almost) full moon will rise just before sunset. This will allow us enough light to capture the pretty foreground, reflection in the water, and maybe even a colorful sunset sky. It should be a fun shoot, as Lake Chabot is picturesque even without the moon. We will meet at the Lake Chabot Marina in front of the snack bar at 6:45. Please email me to let me know that you are coming. Let’s photograph the interior of some of Castro Valley/Hayward area’s most beautiful churches. These places of worship have great photographic charm, history, textures and color. Bring your tripods and wide angle lenses as we shoot long available light exposures inside these churches. We will see colorful stained glass windows, statues, fountains, a pipe organ, stunning architecture, and gardens – we can also photograph the grounds outside. It’s $25, and you can pay on this site by hitting the signup button below. We will meet at my studio at 10:00 for a short presentation, and then carpool to the churches. Please email me for directions. This will be a scenic landscape shoot in my favorite Fairview stomping grounds during one of my favorite lunar phases. I will show you where to find the delicate crescent moon at sunset (or just after sunset, when you can see it better) and how to photograph it. To photograph the moon in auto or semi auto mode (aperture priority, etc. ), is difficult because your camera gets confused. Learn how easy it is to capture the moon in manual exposure. Also, there’s history in the mysterious rock piles in the East Bay hills. We can photograph them on this hillside and will have a nice view of the sunset too. Because the setting crescent moon follows the sun, it is sometimes a toss up between sunset and moon… if we have great clouds for the sunset, we may not see the sliver 2% setting crescent, but it should be a good shoot either way. We will meet at my studio for a talk and slide presentation. There will be a short hike (maybe 1/4-1/2 mile) on a dirt trail. Please bring solid shoes, tripods, and flashlights. It’s $25, and you can pay on this site by hitting the sign up button below. We will meet at my studio at 6:30 and carpool to the location. Join us at one of my favorite local lakes (pictured here) and find out about the awesome quality of light in open shade. We will look for scenes with no direct sunlight. That’s right… What may look dark to our eyes and we may think is not good light, our cameras can see differently – soft contrasts and deep, rich colors. Bring your tripods. We will shoot reflections from the docks and a pretty lush waterfall (a man-made fountain). There are also ducks, paths, plants, a pond, lily pads, and a view of the sunset (fingers crossed). We will meet at my studio for a slide presentation and carpool to the lake. It’s $25, and you can pay online here (hit the signup button). We will meet at my studio at 6:00 and carpool to the location. Please email me for directions. Join us for our monthly Shoot the Moon workshop, as we photograph the full moon rising at sunset. A “blue moon” happens when we have two full moons in the same month… Sorry, the moon won’t be blue in color. This month we plan to capture the moon rising above the windmills on the Altamont Pass. This is a fun shoot, as we can position the moon at various spots in relation to the windmills. Because the full moon rises at sunset, it allows us enough light to capture detail in the foreground, detail in the moon, and the possibility of a pretty and colorful sunset sky. Please sign up and get on my email list. Because conditions can vary rapidly, I keep in touch with photographers by email in case of any last minute changes. You can either meet us close to our destination at 7:30 (and carpool the rest of the way), or arrive at my studio at 6:45 to carpool. Email me for directions. You won't want to miss this special event for anyone who carries a camera in their pocket. Cell phone photography is cool, convenient, and just plain fun! Don't let your kids be better photographers than you! Learn how to be creative with your cell phone and get great results. Kimberly will teach us how to take better cell phone images from landscapes to selfies and demonstrate her favorite image processing app. The workshop will take place at the scenic Hayward Japanese Tea Gardens, where we will find plants, huts, bridges, and a pond with Koi fish and turtles. We will meet in the Tea Garden parking lot at 9:30. Please email me for directions. These are amazingly cool creatures -- big and small. Bay Area Turtle and Tortoise Rescue has over 100 turtles and tortoises, that will be either eating, hiding, or just hanging out waiting for us to photograph them. The rescue has been located in a quiet neighborhood in Castro Valley since 1987, and has turtles and tortoises of many kinds from all over the world. Some are babies and some are ancient. You won't want to miss this fascinating photo shoot. We will meet at my studio at 11:00 to carpool to the location, just five minutes away. This is a 1.5 mile hike (round trip) on the Ramage Peak Trail in the Castro Valley hills. It is a beautiful trail that leads beside a Christmas tree farm and to a clearing with a spacious valley and rolling hills. We will photograph the trails, trees, hills, foliage and wildlife (I saw turkeys, lizards, birds, and cows, that weren’t very wild). If you enjoy hiking, this is for you. The trail is not too difficult, but there are a few steep hills and rough terrain. Bring your tripods, water, and flashlights as we will plan to stay for sunset. We will meet at my studio at 6:00 and carpool to the trail head just 5 minutes away. Email me for directions. Come photograph snakes, lizards, iguanas, geckos, fish, turtles and various slimy creatures at two local specialty pet stores. We have been invited by the management, who will take these creatures out of their cages for us to photograph. It should be fun. I want to see one of you (not me!) hold a python. We will carpool from my studio at 3:30. This is a free event. We will meet at the beautiful historic Dry Creek Gardens in Union City. This shaded and quiet two-acre garden, was a popular summer cottage home in the early 1900s to three ladies, who held charities and fundraisers on their beautiful grounds. Today it is an East Bay Regional Park garden with pathways, footbridges, rustic buildings, and many native and exotic plants. We will talk about photographing plants with telephoto vs. macro lenses, and creating depth with wide angle lenses. The park closes at 4:00. We will meet at the park at 3:00, or at my studio at 2:15 to carpool. Please email me for directions. You won’t want to miss this relaxing evening of wine tasting and photography at Castro Valley’s own Twining Vine Winery. This beautiful and historic property is nestled among the oak trees and rolling hills of Cull Canyon. Twining Vine, originally a booming saw mill and then a horse ranch, is now a scenic winery and venue for weddings and special events. In addition to the grape vines, there are many great subjects to photograph here including a red barn, old car and equipment, gardens, fountain, oak trees and a creek. We will practice long and shallow depth of field, color and black & white, fast and slow shutter speeds (bring a tripod… or borrow one of mine). We will meet at 4:00 for wine tasting, and our hosts have invited us to stay after the winery closes at 5:00, to photograph their beautiful property. The class is $25 and wine tasting is free, but you may decide to bring home a bottle. We will meet at Twining Vine at 4:00. Please email me for directions. Let’s shoot black & white images at the historic Meek Mansion in Hayward. The mansion and grounds are great for capturing lines, shapes, and contrasts that are perfect for black and white photography. We’ll find architecture, farm equipment, plants, and a fountain. This park never disappoints. Let’s meet at the park at 4:30, or arrive at my studio at 4:00 to carpool. Email me for directions. No, we are not going to photograph pie... we are going to EAT it! Join us at my home studio for an evening of image sharing and desserts. Bring your favorite images from our past outings and any other images that you would like to share. It will be a casual time of enjoying each other's work, discussing and receiving feedback from other photographers. We will be projecting images with my digital projector, so bring your images on CD/DVD or flashdrive. I'm bringing pie. Bring your favorite dessert if you like... but it's not necessary. Scenic landscapes are in abundance in the East Bay Regional Parks. Here we’ll find wide angle views of rolling hills, trails, a pond, farm equipment and a big red barn. Last year this time, we saw the most incredible sunset (no promises). Also bring your telephoto lens for wildlife, cows, trees, the Bay and its bridges. Be aware that there will be some hiking this time to get to the Bay view. But we will have plenty of time to go at our own pace. We will stay for sunset, so bring tripod, sturdy shoes, a warm jacket, and a flashlight. We will meet at the park at 6:30, or at the studio at 6:00 to carpool. Please email me for directions. Join us at the local "Duck Park" as we practice using fast and slow shutter speeds to improve our photography. We will catch birds both stationary and in motion and learn how to freeze and blur their flight. Have you ever seen a field of birds lift off at the same time? Learn how to take panned action photos. There is a water fountain at this park – bring a tripod to see the dramatic effects of blurring water as the sun goes down. We will stay for sunset. Learn how to create a sun star. This is a fun park for animal lovers with lots of moving subjects besides an over-population of birds – dogs, squirrels, and soccer players. You can either meet us there at 6:30 or arrive at my studio at 6:00 to carpool. Email me for directions. Join us to photograph the local fountains. We will visit a couple of beautiful parks with pretty plants and running water. Learn how to "freeze" and blur the motion of water as the sun goes down, giving us nice golden hour light. Join us as we photograph my favorite over-grown and unmanicured local garden. There are many treasures to be found here -- wild flowers, fruit trees, birds, bugs, and an abandoned building (complete with rust and broken glass). This is a wonderful location to practice color or black & white photography, macro & telephoto, and long & shallow depth of field. I captured this lady bug here a few days ago. Join us to photograph the annual Rowell Ranch Rodeo Parade on Castro Valley Blvd. This is a free event, and you might get published! 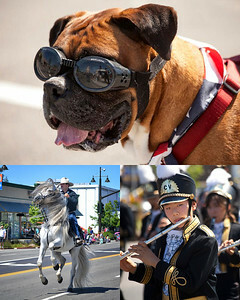 The rodeo parade is a fun community event that is sponsored annually by the Castro Valley Rotary Club, who enlists my students to photograph the parade each year. Our images appear on the rotary club website, Facebook page, and have appeared in the Castro Valley Forum newspaper. We will meet in front of the announcer's stand at 9:30am. Join us to photograph hummingbirds at a local garden busy with hummingbird traffic. Hummingbirds are amazing little creatures and their speed makes them difficult to photograph. Learn how to "freeze" their motion as they come and go. We will continue from this location to another pretty garden with blooming roses, succulents, other flowers and a fountain. It's a beautiful place to practice macro & telephoto, and long & shallow depth of field. We will meet at my studio at 5:00 to carpool. Email me for directions. Join us for our monthly Shoot the Moon workshop, when we photograph the full moon rising at sunset. This month we plan to capture the moon rising above one of our pretty local lakes and catch its reflection in the water. There is much to photograph here as it is a scenic spot, with or without the moon. The full moon rises at sunset, allowing photographers enough light to capture detail in the foreground, detail in the moon, and the possibility of a pretty and colorful sunset sky. I have chosen the day "before" the full moon this month (as the moon rises 50 minutes later each day) to allow time for the moon to clear the trees and show itself to us at sunset. Please sign up and get on my email list. Because conditions can vary rapidly, I keep in touch with photographers by email in case of any last minute changes. Join us as we take the back roads to a lesser known area of Lake Chabot. The trails and trees are beautiful there and dependent on recent weather, we may find water in the cascades (yes, we have a waterfall in Castro Valley). We will stick around for sunset and catch the sun ducking behind Fairmont Ridge. Learn how to create a sunstar. Bring solid shoes and a flashlight. It will be lots of fun. Join us on one of the most scenic hikes in Castro Valley. This hillside is currently decorated in wildflowers. We’ll have the opportunity to photograph close-ups of flowers, to wide landscapes of the Bay, trails, Lake Chabot, rolling hills and the San Francisco skyline. This hillside never disappoints. We will stay until after sunset and then capture the lights of the East Bay. Bring solid shoes and a flashlight. Come join us as we head over to the Hayward Shoreline for a late afternoon shoot. We'll focus on the shoreline terrain, cityscape, marsh, wildlife, and of course the sunset! Photographers of all skill levels are welcome. 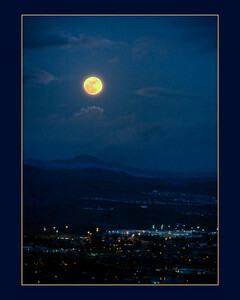 Join us for our monthly Shoot the Moon workshop In the Castro Valley hills. This month's location will include a hike up to a scenic spot with a view of the East Bay hills, where we will see the moon rise just before sunset. We will also have the opportunity to photograph the sun setting over the Bay. It's always a thrill, with or without a camera. The image at left was captured during last month's moon rise workshop. It's Spring and the flowers are blooming. We have been able to get outdoors and enjoy Castro Valley's beautiful landscapes -- Rolling hills, blossoms and wildflowers. Join us as we continue to photograph plants and flowers, both macro and telephoto, for beautiful close-up photography. Join us as we set out to explore and photograph Castro Valley and the local area’s lesser known scenery – rolling hills, inviting trails, rugged barns, and forgotten canyons. You can sign up to be on the email list to receive my event updates. We gather for photo walks, sunrises and sunsets, moonrises and moonsets, special local events, and inspiring image shares at my house. Hit "Get in the Loop" below. Castro Valley Photo Club has ongoing local displays at Knudsen's Ice Creamery, Intero Real Estate, The Sun Gallery, and various gallery shows nearby. Active club participants are invited to participate and details are provided via email and our Group Facebook Page. We have a group Facebook page that is a fun community of photographers that enjoy sharing images and ideas. We have weekly contests to determine our Castro Valley Photo Club Image of the Week for for CV Legends, a popular Castro Valley page. If you would like to participate, Click Here, request to join and I will add you.